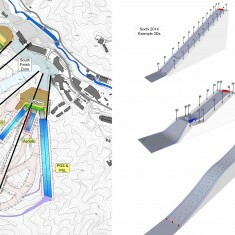 2018 Olympic and Paralympic Winter Games | 2018 Olympic and Paralympic Winter Games | Ecosign Mountain Resort Planners Ltd. 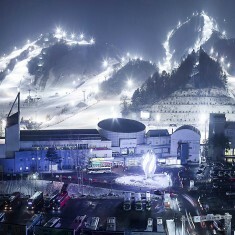 The Pyeong Chang 2018 Organizing Committee along with Gangwon Province plan to utilize the Bokwang Phoenix Park Resort for hosting the Olympic and Paralympic Winter Games in 2018. The long term goal is to create a commercially and economically prosperous destination for alpine skiing and snowboarding post Olympics. 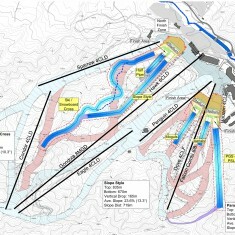 It is also expected that the new venues will be used for training and competitions for freestyle skiing and snowboarding in future years ultimately leaving a positive legacy for the area after the Pyeong Chang 2018 Olympic and Paralympic Winter Games. 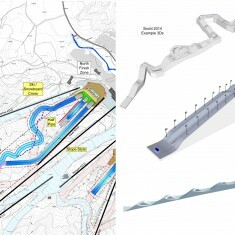 Ecosign won the public tender to prepare a Master Plan Concept for the Bokwang Phoenix Park as the venue for the Snowboard and Freestyle Olympic competitions and subsequently a tender to provide the detailed design and engineering for construction of these competition venues.